Thats all. Game finished - Rennes 1, Nantes 1. Second Half ended - Rennes 1, Nantes 1. Hatem Ben Arfa - Rennes - won a free kick in attack. Missed chance. Diego Carlos - Nantes - shot with right foot from outside the box is high and wide to the right. M'Baye Niang - Rennes - won a free kick in attack. Missed chance. Jordan Siebatcheu - Rennes - shot with right foot from the centre of the box missed to the left. Assist - Hatem Ben Arfa. New attacking attempt. Jordan Siebatcheu - Rennes - shot with the head from the centre of the box is saved by goalkeeper in the centre of the goal. Assist - Mehdi Zeffane. Substitution - Nantes. Anthony Limbombe for Gabriel Boschilia. Corner - Rennes. Conceded by Gabriel Boschilia. Jordan Siebatcheu - Rennes - won a free kick on the right wing. Substitution - Rennes. M'Baye Niang for Ismaila Sarr. Lucas Evangelista - Nantes - won a free kick in attack. Substitution - Nantes. Lucas Evangelista for Valentin Rongier - injury. 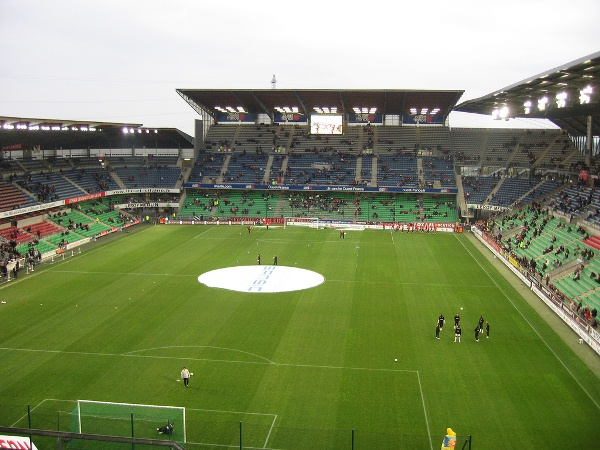 Delay in match Valentin Rongier - Nantes - - injury. Substitution - Rennes. Hatem Ben Arfa for Romain Del Castillo. Substitution - Rennes. Jordan Siebatcheu for Adrien Hunou. Diego Carlos - Nantes - won a free kick on the right wing. Majeed Waris - Nantes - won a free kick on the left wing. 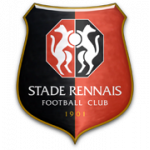 Ramy Bensebaini - Rennes - won a free kick in attack. Delay in match Ismaila Sarr - Rennes - - injury. Clément Grenier - Rennes - receive yellow card for a foul. Abdoulaye Touré - Nantes - won a free kick on the right wing. Corner - Nantes. Conceded by Mehdi Zeffane. Missed chance. Ismaila Sarr - Rennes - shot with right foot from outside the box missed. Corner - Rennes. Conceded by Nicolas Pallois. Missed chance. Adrien Hunou - Rennes - shot with the head from the right side of the six yard box missed to the left. Assist - Ismaila Sarr with a head after corner. Corner - Rennes. Conceded by Ciprian Tatarusanu. Corner - Rennes. Conceded by Diego Carlos. Shot blocked. Clément Grenier - Rennes - shot with right foot from the centre of the box is blocked. Penalty saved! Clément Grenier - Rennes - fails to capitalise on this great opportunity, shot with right foot saved in the left corner. Diego Carlos - Nantes - receive yellow card for a foul. Penalty conceded by Diego Carlos - Nantes - after a foul in the penalty area. Jakob Johansson - Rennes - won a free kick in defence. Benjamin André - Rennes - receive yellow card for a foul. Mehdi Zeffane - Rennes - receive yellow card for a foul. Emiliano Sala - Nantes - won a free kick on the right wing. Gabriel Boschilia - Nantes - won a free kick in attack. Shot blocked. Ismaila Sarr - Rennes - shot with left foot from the centre of the box is blocked. Assist - Benjamin André. Lucas Lima - Nantes - won a free kick on the left wing. Substitution - Nantes. Fabio for Enock Kwateng. Second Half starts Rennes 1, Nantes 1. First Half ended - Rennes 1, Nantes 1. New attacking attempt. Romain Del Castillo - Rennes - shot with left foot from outside the box is saved by goalkeeper in the centre of the goal. Assist - Benjamin André with a head. Missed chance. Majeed Waris - Nantes - shot with right foot from outside the box is high and wide to the right. Assist - Valentin Rongier. Missed chance. Adrien Hunou - Rennes - shot with the head from the centre of the box missed. Assist - Ismaila Sarr. New attacking attempt. Emiliano Sala - Nantes - shot with right foot from the right side of the box is saved in the top centre of the goal. Missed chance. Diego Carlos - Nantes - shot with right foot from outside the box missed to the left. Adrien Hunou - Rennes - won a free kick in defence. Shot blocked. Emiliano Sala - Nantes - shot with left foot from the left side of the box is blocked. Assist - Valentin Rongier. Corner - Rennes. Conceded by Andrei Girotto. Corner - Rennes. Conceded by Emiliano Sala. Enock Kwateng - Nantes - receive yellow card for a foul. Missed chance. Jakob Johansson - Rennes - shot with right foot from outside the box missed to the left . Shot blocked. Benjamin André - Rennes - shot with left foot from outside the box is blocked. Shot blocked. Romain Del Castillo - Rennes - shot with right foot from outside the box is blocked. Corner - Nantes. Conceded by Ramy Bensebaini. Goal! Rennes 1, Nantes 1. Emiliano Sala - Nantes - shot with the head from the centre of the box to the top right corner. Assist - Lucas Lima with a cross. Benjamin André - Rennes - won a free kick in attack. Emiliano Sala - Nantes - won a free kick in attack. New attacking attempt. Gabriel Boschilia - Nantes - shot with left foot from outside the box is saved in the top centre of the goal. Assist - Valentin Rongier. Gabriel Boschilia - Nantes - won a free kick in defence. Goal! Rennes 1, Nantes 0. Jakob Johansson - Rennes - shot with right foot from few metres to the left corner. Assist - Clément Grenier . Shot blocked. Clément Grenier - Rennes - shot with right foot from a diffucult position and long distance on the left is blocked. Abdoulaye Touré - Nantes - receive yellow card for a foul. Ismaila Sarr - Rennes - won a free kick in defence. Offside - Rennes. Benjamin André with a pass, however Adrien Hunou is in offside.